From the beginning of the game, the Patriots trenches dominated the Houston Texans offensive and defensive lines. The Patriots painted away on their first drive only to Get it back from the Texans on a fumble exchange between the Deshaun Watson and Lamar Miller. The Patriots uncharacteristically went into the I-formation in a two-minute drill running it twice with Jeremy Hill after he partially blocked it. Brady, who analysts constantly asked where he would be throwing, found Phillip Dorsett three times which included a touchdown. The Patriots picked up right where they left off with Kyle Van Noy tackling DeAndre Hopkins behind the line of scrimmage with Bentley making a shoestring tackle which resulted in Texans stalling on the next play giving it back to the Patriots. New England seemed to be poised to score again when tight end Rob Gronkowski fumbled for the first time in six years which was then recovered by safety Tyrann Mathieu, who picked off a Brady pass in the first quarter. On the same play, fullback James Develin hit running back Jeremy Hill in the knee. Houston finally showed some life in the waning minutes of the third quarter, after running the ball seven times and capping it off with an Alfred Brue rushing touchdown from the one-yard line. The Patriots were able to drive it down the field as Dorsett continued his role with seven catches in three quarters of play which is more than half of his season total of 12 last season. New England was forced to punt with less than six minutes to go in the game giving the Texans one more opportunity to cut the Patriots’ lead to seven. The Texans seemed to presumably concede the game by punting with less than five minutes to go but Riley McCarron, who had been fielding the punt solid all day, muffed the punt which was recovered by former Patriot Johnson Bademosi. Houston was able to capitalize on the bungle with a Bruce Ellington touchdown catch. The defense put the ball back into Watson’s hands but he was unable to connect on a desperation pass to the end zone sealing the victory for the reigning AFC Champions. Rex Burkhead: With his health in question the entire preseason, Burkhead started the game at running back rushing for 64 yards keeping the ball secure the entire game. With Hill almost certainly out for the year, Burkhead’s health going forward will be crucial with there currently being no timetable for rookie Sony Michel’s return. Phillip Dorsett: It only took a season, but Dorsett has seemingly earned the trust of Brady. Dorsett has taken over for wide receiver Brandin Cooks as a much less expensive option. Rob Gronkowski: Gronkowski picked up where he left off, leading the team with 123 yards receiving and a score. Most importantly for the Patriots, Gronkowski made it out of the game healthy. Stephon Gilmore: Gilmore blanketed DeAndre Hopkins the entire game holding him to just 64 receiving yards on seven receptions while also picking off a pass early in the game. It’s almost fair to say Patriots head coach Bill Belichick made the right decision in signing Gilmore over Malcolm Butler. 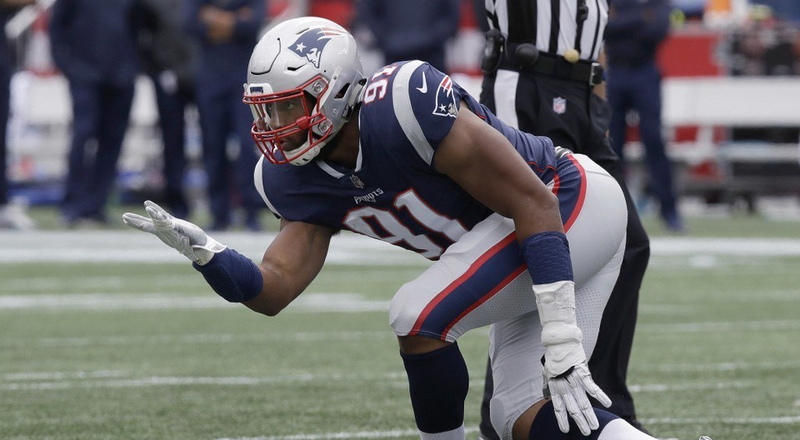 The defensive line: The defensive line was able to apply pressure with Wise recording one and a half sacks with Trey Flowers also recording a sack on the opposite side of the defensive line. Ja’Whaun Bentley: Bentley continued his solid rookie campaign into the regular season seeing a lot of snaps with the starting defense making him seem like quite the steal for the Patriots. Jonathan Jones: Jones took over the slot cornerback role for Eric Rowe who was moved out to Butler’s old spot on the other side of Gilmore and played it near flawlessly as well as making crucial special teams play at the end of the game downing a Ryan Allen punt at the half-yard line.